We told you about an awesome sale on Sunday that no one expected. 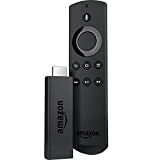 Amazon shaved $10 off the price of its Fire TV Stick with Alexa Voice Remote, which just so happens to be the most popular streaming media device on the entire Amazon website. Well guess what: you’re in luck if you missed it yesterday, because it’s still discounted on Monday. 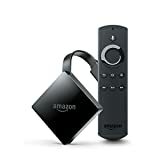 On top of that, the All-new Fire TV with 4K Ultra HD and Alexa Voice Remote is getting in on the action too with a limited-time $20 discount!